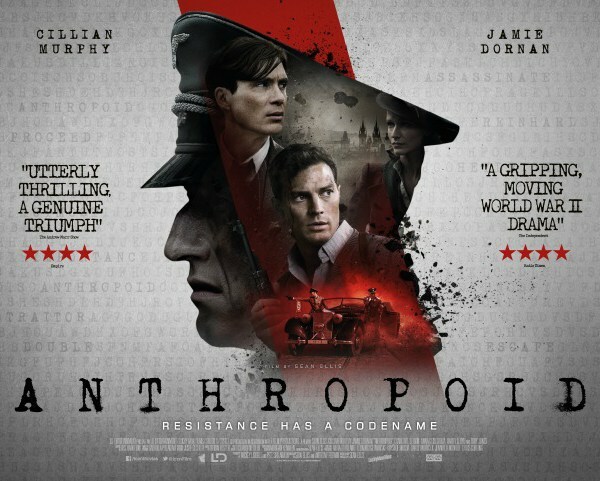 Anthropoid is a 2016 British epic war film that tells the story of Operation Anthropoid, the World War II assassination of Reinhard Heydrich by Exile Czechoslovak soldiers on 27 May 1942. The film was shot entirely in Prague, and where possible, at the actual locations of the events they depict. Director Sean Ellis stated in interview that scenes in the Orthodox Cathedral of Saints Cyril and Methodius were filmed on an exact replica of the church on a studio backlot, so as to make the location recognizable to Czech viewers. Gestapo and Czech contemporary reports allowed Ellis to recreate the film's final act (the assassination and church siege) with extreme accuracy, and the film has garnered praise for its commitment to realism and true events. Intense planning was necessary to allow for the assassination itself to play in real time, with each resistance member's movements researched, planned and tracked in order to reflect actual events. The film can currently be viewed On Demand and is free to subscribers of Amazon Prime.